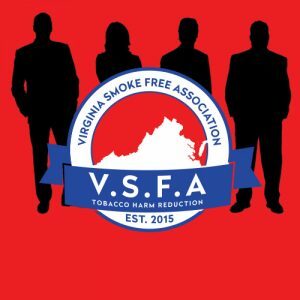 With the proud honor of becoming a consumer member of the Virginia Smoke Free Association, you will be the first to hear when new legislation drops in our state and surrounding areas. 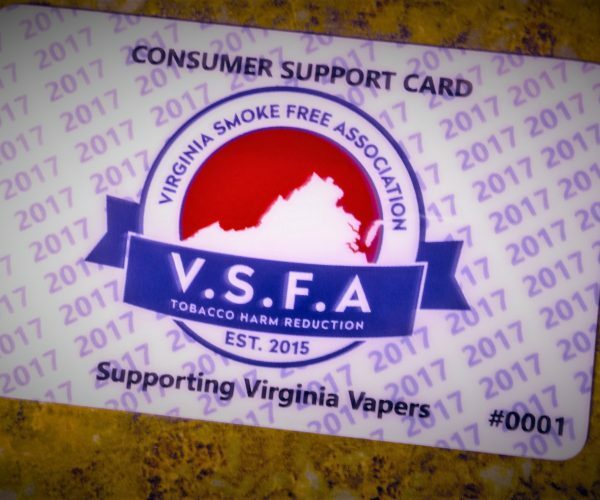 Your VSFA membership card will also get you 15% off of all e-liquid purchases at any vaping business that is a member of the VSFA! Annual consumer membership fee is $30.00. 2019 cards on sale now! Sign up today and receive benefits through 12/31/2019! There are 2 ways for submitting payment and application to become a consumer member below. You may pay via mail with a check or money order and the printed application or below by credit, debit card in the “Consumer Membership Payment” section below and complete the checkout process.